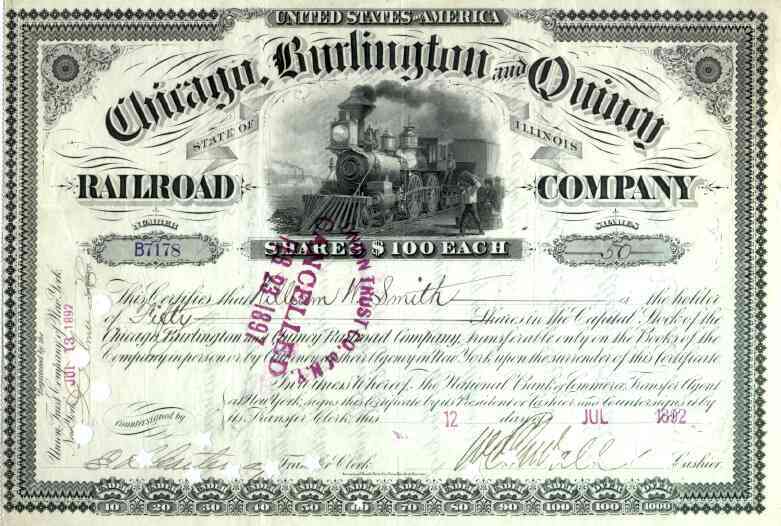 1890s Chicago Burlington & Quincy RR Stock Certificate. Late 19th century railroad scripophily document with large vignette of steam locomotive. VF+ condition with numerous punch cancels.